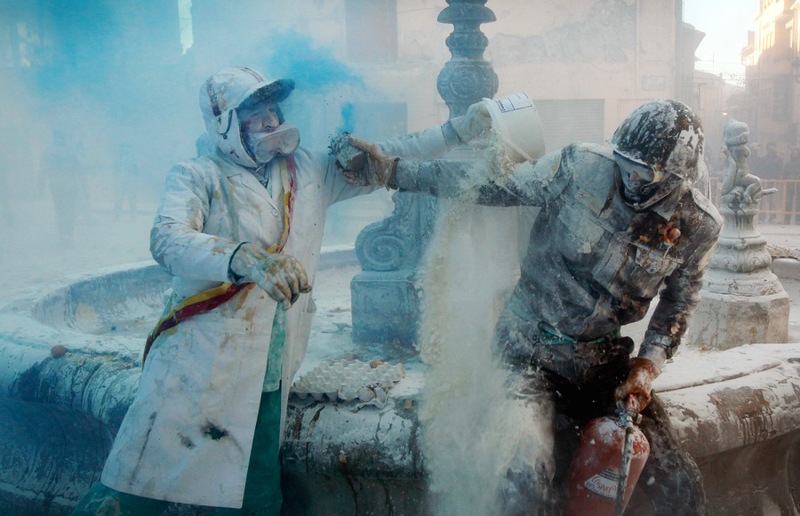 Revelers take part in the battle of 'Enfarinats', a flour fight in celebration of the Els Enfarinats festival on December 28, in Ibi, Spain. 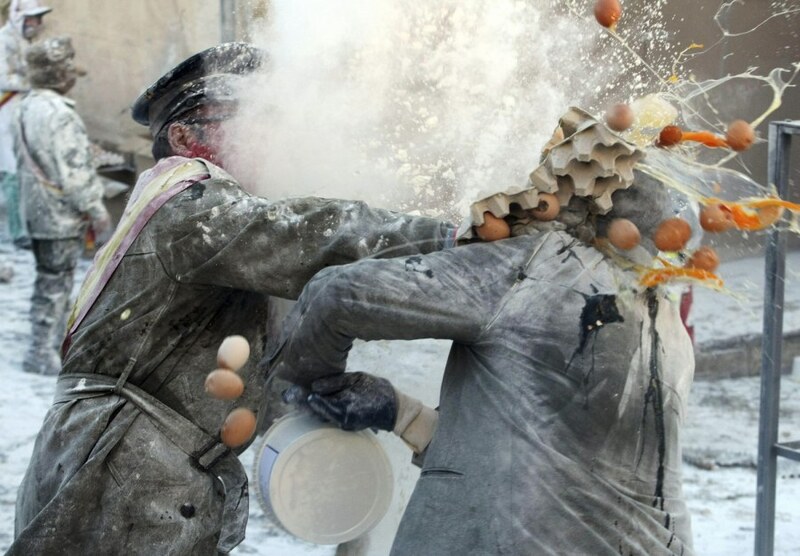 Citizens of Ibi, Spain annually celebrate the Els Enfarinats festival with a battle using flour, eggs and firecrackers. 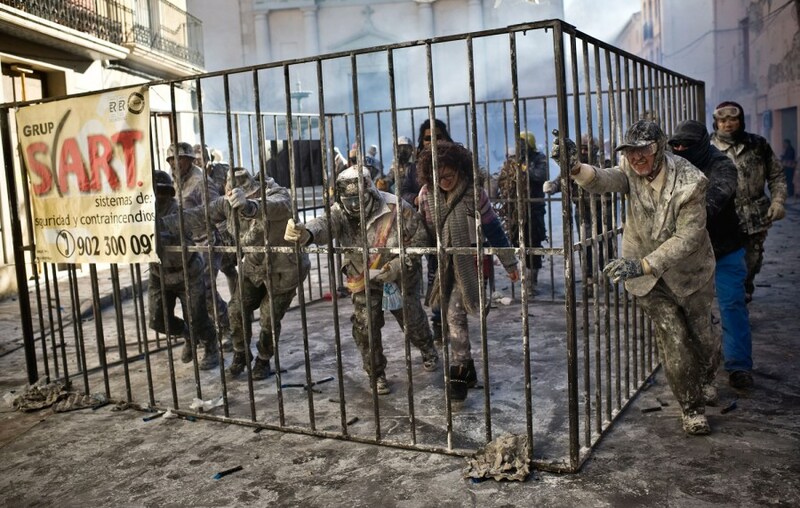 The battle takes place between two groups, a group of married men called 'Els Enfarinats' which take the control of the village for one day, pronouncing ridiculous laws and fining the citizens that infringe them, and a group called 'La Oposicio' which try to restore order. At the end of the day the money collected from the fines is donated to charitable causes in the village. The festival has been celebrated since 1981 after the town of Ibi recovered the 200-year-old tradition. 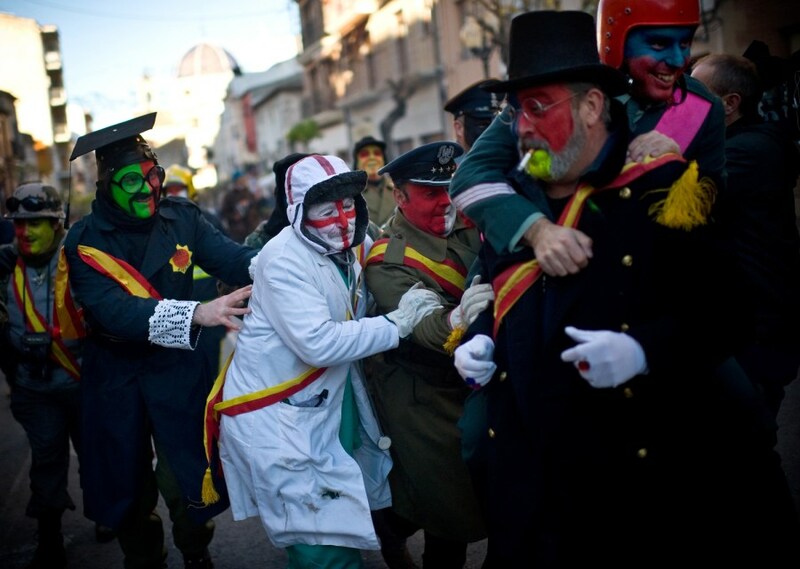 Revelers take part in festival of Els Enfarinats, in the town of Ibi near Alicante, Spain, on Dec. 28. Revelers walk toward the battle of 'Enfarinats', a flour fight in celebration of the Els Enfarinats festival, on Dec. 28, in Ibi, Spain. 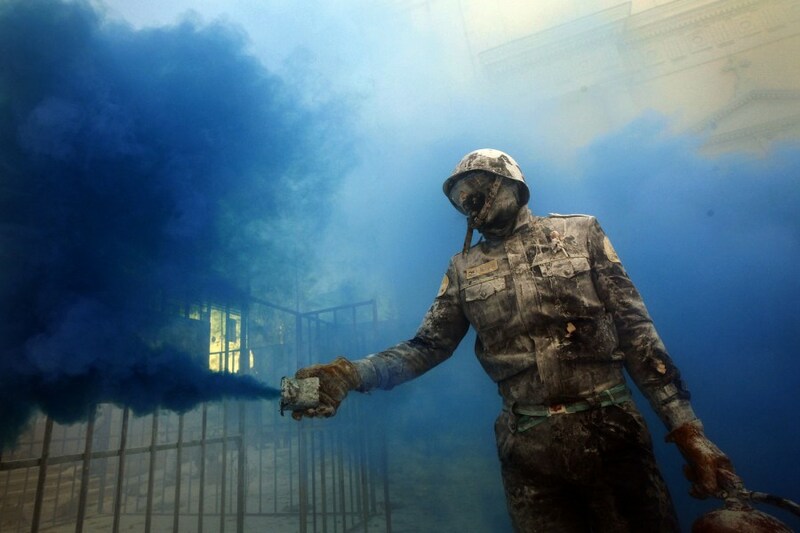 A reveler takes part in festival of Els Enfarinats, in the town of Ibi near Alicante, Spain, on Dec. 28. 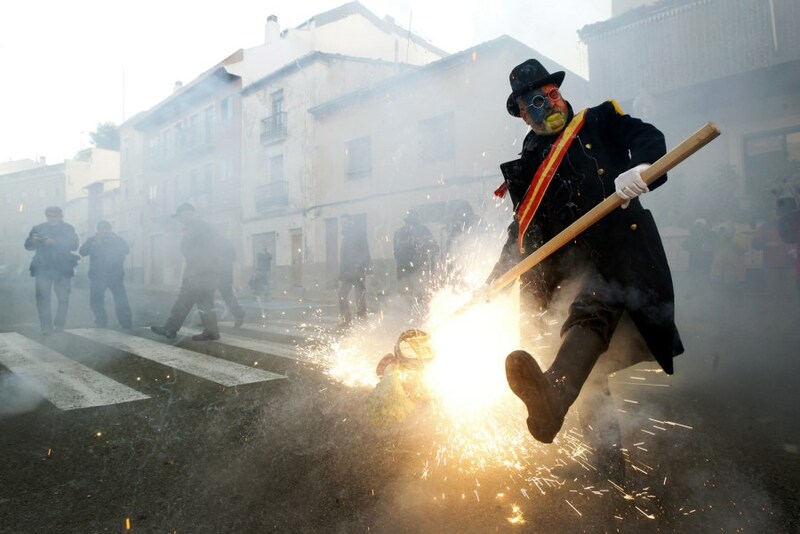 People enjoy the traditional 'Els Enfarinats' battle at Ibi in Alicante, eastern Spain, on Dec. 28. 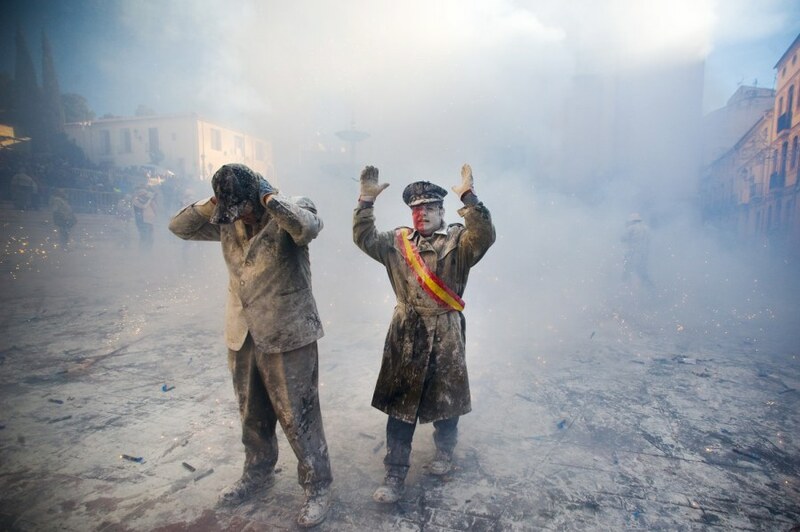 A reveler smokes during the battle of 'Enfarinats', a flour fight in celebration of the Els Enfarinats festival on Dec. 28, in Ibi, Spain. Revelers take part in the battle of 'Enfarinats', a flour fight in celebration of the Els Enfarinats festival on Dec. 28, in Ibi, Spain.